POUGHKEEPSIE — A first-of-its-kind technology that protects critical substation equipment from power surges drew the attention of electrical engineers from Thailand, who plan to replicate the project in their country. The Central Hudson project was co-funded by the New York State Energy Research and Development Authority (NYSERDA), and advances Governor Cuomo’s Reforming the Energy Vision (REV) strategy to build a clean, resilient and affordable energy system for all New Yorkers. The innovative project was one of many efforts to come through NYSERDA’s Smart Grid program, a 10-year, $40 million research and development incentive program that has helped bring more than 80 projects to fruition. Projects have ranged from energy storage to software that manages voltage levels, methods to reduce outage durations from downed power lines and technology to reduce power congestion in urban areas. This project, a superconducting fault current limiter, or SCFCL, is the only one of its kind in New York State. It was deployed at the Knapps Corners substation near Poughkeepsie in the summer of 2014 to test its ability to protect critical electrical equipment against power surges, extend equipment life, improve service reliability and reduce customer costs. Since its installation, the SCFCL has protected the Knapps Corners substation from 22 instances of power surges – or fault currents — caused by lightning, or downed or crossed power lines. NYSERDA provided $1.2 million toward this demonstration project. Over the past 10 years, NYSERDA’s $40 million smart grid investment has leveraged more than twice that in private funds. 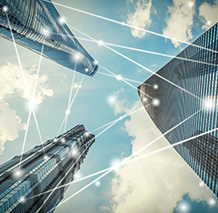 The Smart Grid program recognizes that a resilient, efficient and secure electric grid is paramount to the success of the economy and the public health and safety of citizens and businesses. Installed by Applied Materials Inc., the Central Hudson technology uses a liquid-nitrogen-cooled superconductor technology to dissipate fault currents safely, without tripping circuit breakers. Circuit breakers are tripped and/or damaged when in contact with a fault current, causing power outages to customers on that line, and can often take hours or longer to address. Surges can also cause expensive equipment damage because circuit breakers don’t always trip in time to avoid damage. Utilities are increasingly concerned about such faults due to changes in power demand and the proliferation of on-site distributed power generation such as solar power systems or combined heat and power systems. Fault currents can be up to 200 times stronger than normal currents, which can damage critical substation components such as power transformers and breakers, and may also wear out utility equipment, causing premature failure and the need for expensive capital replacements. Glow Energy, an independent power producer in Thailand, has purchased the device to protect its own systems. In November, five engineers from Glow Energy and related businesses in Thailand came to Poughkeepsie to view the equipment firsthand. Reforming the Energy Vision (REV) is New York Governor Andrew M. Cuomo’s strategy to build a clean, resilient and affordable energy system for all New Yorkers. REV is transforming New York’s energy policy with new state-wide initiatives and regulatory reforms. REV will grow the state’s clean energy economy, support innovation, ensure grid resilience, mobilize private capital, create new jobs, and increase choice and affordability for energy consumers. REV places clean, locally produced power at the very core of New York’s energy system. This protects the environment and supports the State’s goal to reduce greenhouse gas emissions by 40% while generating 50% of its electricity from renewable energy sources by 2030. Successful initiatives already launched as part of REV include NY-Sun, NY Green Bank, NY Prize, K-Solar, and a commitment to improve energy affordability for low-income communities. To learn more about REV, visit www.ny.gov/REV4NY and follow us @REV4NY. NYSERDA, a public benefit corporation, offers objective information and analysis, innovative programs, technical expertise, and support to help New Yorkers increase energy efficiency, save money, use renewable energy, and reduce reliance on fossil fuels. NYSERDA professionals work to protect the environment and create clean energy jobs. NYSERDA has been developing partnerships to advance innovative energy solutions in New York State since 1975. To learn more about NYSERDA’s programs, visit nyserda.ny.gov.